Buyers Guide | United Business, South Africa. You select or are assisted by our consultants in selecting the correct products to exactly meet your requirements. You send a request for a quotation via the website, direct email, fax or telephone whichever is most convenient for you. Once you accept the quotation, fax or email a signed copy of the quote back to UBS for completion. Cash purchase (Via EFT), rental and credit card options are all available from UBS. Cash transactions are facilitated by EFT transfers into UBS's bank account or via our online payments system. Once funds clear the goods will be delivered and installed (if necessary) by our team. 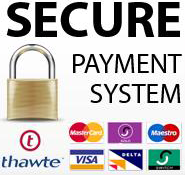 Credit Card transactions are available via our safe and secure online payment system. On larger transactions, Rentals are the most commonly used method of purchase. UBS has an in house rental company which provides rental facilities to hundreds of satisfied customers countrywide.